Prime Minister Narendra Modi finally broke his silence on the killing of people in the name of gau bhakti (cow worship). Condemning the attacks, he said, "This is not something Mahatma Gandhi would approve." His statement elicited some strong reactions from all quarters. 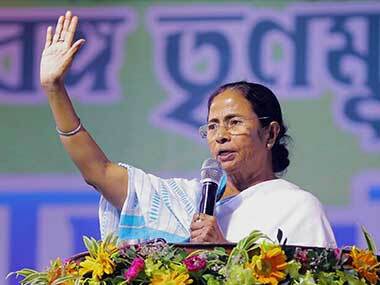 According to CNN-News18, West Bengal chief minister Mamata Banerjee said, "Condemn killings in the name of gau raksha, just words are not enough. Modi trying to subvert democracy. The killings must stop now." Congress vice-president Rahul Gandhi also emphasised the need for action. Congress' Manish Tewari took a jibe at the prime minister and said, "Modi should ask himself as to who has created this atmosphere of lawlessness in the country. Pro forma condemnations are not enough. The prime minister must reaffirm that he believes in the founding values of the Indian state." Mahatma Gandhi's grandson Gopalkrishna Gandhi, in a sarcasm-laced remark, said the "presence of Gandhiji's living spirit in Sabarmati Ashram" must have affected Modi. "What he has said is absolutely right, but it should be followed by very strong action on the ground. All the perpetrators (of hate crimes) have to be caught and prosecuted and the public's confidence in (law and order) has to be revived," Gandhi told IANS. Ruing that the "state has been complicit in murders in the cow's name", Gandhi hoped that Modi's statement should be the beginning of a change. Janata Dal-United (JD-U) spokesman KC Tyagi said he does not see any substance in Modi's remarks. "I don't think the prime minister's so-called warning to cow vigilantes has any meaning. The prime minister has spoken on cow vigilantism earlier too, but it has had little impact on the ground.In fact, every time he issues such advisory to gau rakshaks (cow vigilantes), the incidents of violence in the name of cow go up," Tyagi told IANS. 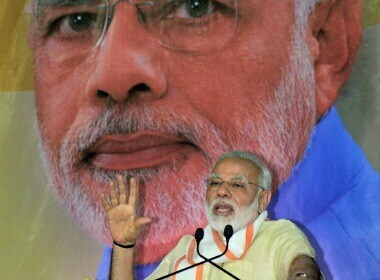 Rashtriya Janata Dal spokesperson Manoj Jha said Modi's words sound hollow. "He had made such delayed statements about the Rohith Vemula suicide and the Una incident (thrashing of Dalits) too. Did it stop? In fact, all sound and no substance in terms of action have emboldened such vigilante groups. What this nation urgently requires is a robust legislation against mob lynchings," Jha said. 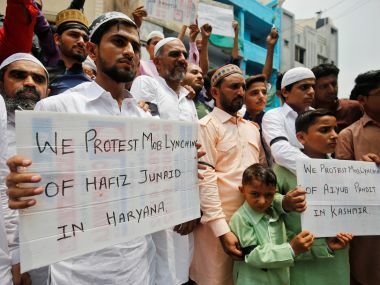 On Wednesday, protests were held in several cities across India under the banner of "#NotInMyName" to protest against the mob lynchings. Manisha Kayande of Shiv Sena said Modi's statement has come late but is welcomed. 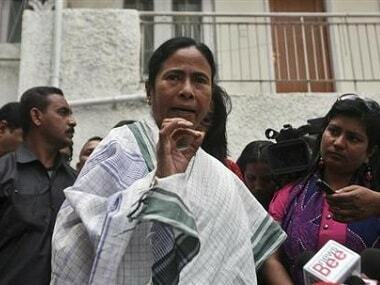 She has said that though Modi had made a similar statement earlier, there is a need for strict action now. "Modi gave a clear message to his own people... Since the BJP government has come to the Centre, all this is happening. Who are they to kill in the name in the name of cow protection? We know who is provoking them and which party is behind them," Kayande said. 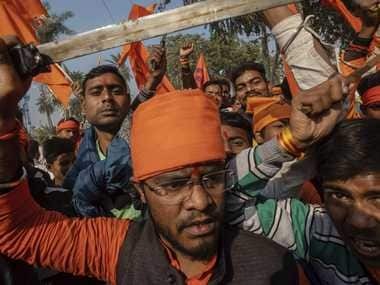 According to Bloomberg, Girish Karnad, a 79-year-old playwright and film director said Modi should instead be talking to the people within the BJP who have made life difficult for cattle traders. "What’s the point of the prime minister preaching to us?" Karnad asked. "He should be preaching to his party men, to those who have created this problem in the first place." Asaduddin Owaisi, chief of All India Majlis-e-Ittehadul Muslimeen, said that the prime minister's words won't have desired action. Gau rakhshaks get direct support from BJP, Sangh." D Raja, CPI national secretary said that the prime minister has broken his silence after long.